Despite Facebook’s term of services, users have been found to violate the terms by creating false ‘likes’. As a result of this finding, Facebook has begun to crack down on “Likes” generated by fake accounts. The initiative is the social network’s most public effort yet to combat false accounts. “When a Page and fan connect on Facebook, we want to ensure that connection involves a real person interested in hearing from a specific Page and engaging with that brand’s content,” Facebook added. Facebook’s terms of service clearly forbids the creation of more than one account per person, or the creation of false accounts. Despite this, the social network revealed earlier this month that as many as 83 million monthly active users (8.7 percent) were false accounts. These accounts fall under three different levels of maliciousness: duplicate accounts, misclassified accounts, and undesirable accounts. In a recent research, 4.8 percent, or 45.8 million, of Facebook’s active accounts was found to be duplicates. The unclassified or misclassified accounts — accounts created to represent corporations, groups, and even pets –account for 2.4 percent (22.9 million) of its active accounts. The false accounts have been created with the wrong type of account, and should have been made as Facebook groups or pages. The most malicious accounts are ones that Facebook believes were created with the intent of undermining the terms of service. Spammers and false identities fall within this group, and make up 1.5 percent (14.3 million) of active accounts. Facebook estimated that less than 1 percent of Likes would be affected on any given Page, the effort could impact the Pages of larger corporations with millions of Likes that have been bloated by false accounts. One percent of several million could amount to tens of thousands of lost Likes. This fake “Likes” would make page owners have a re-think about resorting to black hat measures for generating Likes. The page owners would rather concentrate on those fans that engage their brand per time. 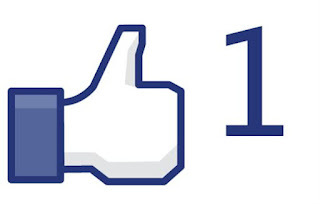 The number of likes on Facebook pages should be a true reflection of the number of fans the individual or entity has. Hence, this is a good development.